More tips from Southern Photo Technical Service on some Nikon rumors – this time the D700s is on the table. Rather than the rumored D700x that we’ve heard so much about lately. Nikon will release a D700s as upgraded version of the Nikon D700. 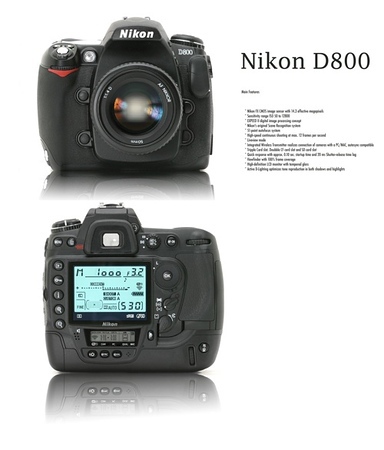 This is the word we got last week and all Nikonians will like the new features at the same range price as D700. Given that the Nikon D300s replaced the D300, the naming convention might make sense. And even though the Nikon D700 is a stellar camera, many Nikon shooters have been begging for a more affordable 24-megapixel shooter (as opposed the the pricey Nikon D3x). This sentiment will likely continue to grow now that Sony has the full frame, high resolution A850 at a $2000 price point. 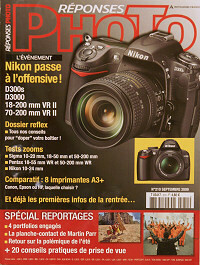 I received a tip that the September 2009 edition of Résponse Photo, a popular French magazine, that the Canon 1D Mark IV would be announced on August 25. That’s Tuesday for those of you who don’t have your calendar handy. – A Nikon D700x (or D800) that should be the D3x what the D700 to the D3 (Sensor Sony 24 Mpx). – Three Sony models, two bodies twins who come to fill an empty space range today and a third that seeks to satisfy the fans who consider 24×36 expensive current models be announced on August 27 and will hit stores on September 15 . . . announce a complete test in the October issue. Rumors of the Nikon D700x have been rattling around for a long time now (pretty much since the Nikon D3x was announced December 2008). I’m skeptical that Nikon has such a camera planned this soon after the D700, but I’ve been wrong on these feelings before. The Canon 1D Mark IV sounds plausible; however, that date is inconsistent with other rumors we’ve heard. A replacement for the Pentax K2000 seems a little quick as well, but manufacturers seem to be shortening the product life cycle more and more. The three Sony models sounds like the real deal though. I think that the reference to the 24x36mm shooter is clearly the Sony A850, which has all but been announced. The other two that fill a new slot in the lineup is likely the Sony A500 and A550. Several tips and rumors have been flowing in over at Nikon Rumors concerning an update to the D700, which tipsters are calling the D700x. This camera has been in the rumor mill since before the D3x was announced and many Nikonians have lusted after the thought of a D700-like camera body packed with a D3x-type sensor. While such a camera might make sense when looking at the Nikon D700’s biggest competitor (Canon 5D Mark II), it doesn’t really fit into Nikon’s lineup very well. As posited by Nikon Rumors, a Nikon D700x with a 12.3 megapixel sensor that also captures video and can do a few new tricks seems to be the most likely D700 replacement for this fall anyway. 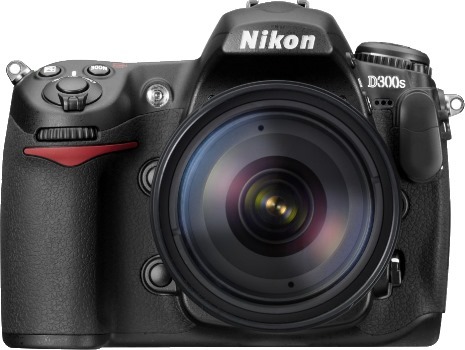 As such, it would fit nicely with the all-but-official Nikon D300s, which we expect around the first of August. 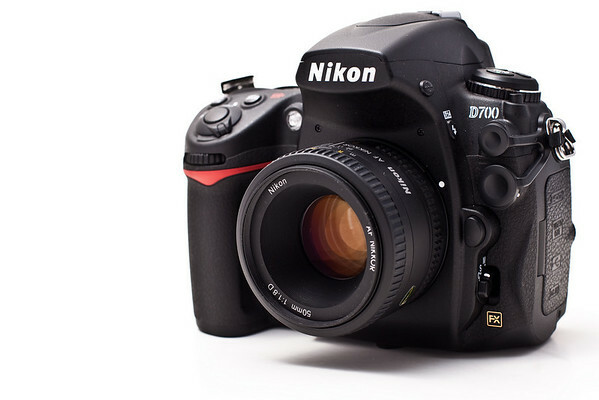 PMA 2009 rumors sure are heating up, as we get more “reliable” rumors of a Nikon D700x / D800 release. Presumably, this will be the rumored high-megapixel junior sibling to the D3x – in the same way the D700 relates to the D3. Stay tuned for more on the Nikon D700x / D800 Rumors.